We have a fun tradition of baking up homemade pizza every Friday night. In this post I’m shaking it up by using a favorite organic vegetable as the pizzas main ingredient. You will love this tasty treat that can be prepared totally organic. Take advantage of the printable option on the Organic Eggplant Pizza Recipe Below. Note that all the ingredients you use in this recipe must have the organic seal on it to be officially organic. Cut freshegg plant into half inch slices. Soak slices in salt to make tender or cut skin off. Place eggplant slices on a cookie sheet and brush slices with avocado oil and garlic. Sauté onions and minced garlic clove in butter. Slice 5 Roma tomatoes and half yellow pepper. In a blender add tomatoes and peppers and the sautéed onion mix - Pulse blended be careful to not liquefied! In pot add tomato mix and spices. Let the sauce cook down about five minutes on low burner. Add sauce onto the tops of egg plant slices on baking sheet. Add to oven start at 350° for about five minutes or until cheese is melted on top. Nothing Beats Fresh From Home Garden Veggies! 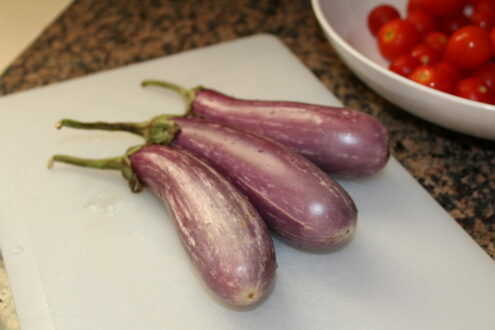 Eggplant slices can be soaked in salt water to make the skin tender. The salt will add more flavor and take out bitter taste that sometimes occurs in older eggplant. The soak will also firm up the flesh of the veggie so it can soak up oil during cooking. 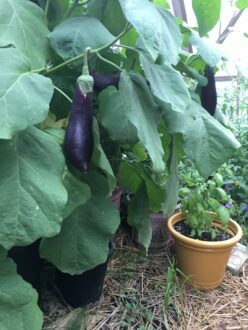 Some varieties like patio eggplant do not require soaking. Some of my favorite varieties to grow in my home garden are featured below. Ask me for more information by commenting below. 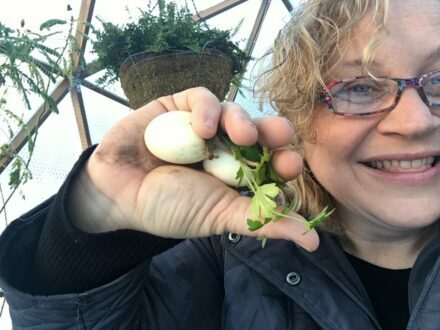 Eggplant growing in the geodesic bio dome. 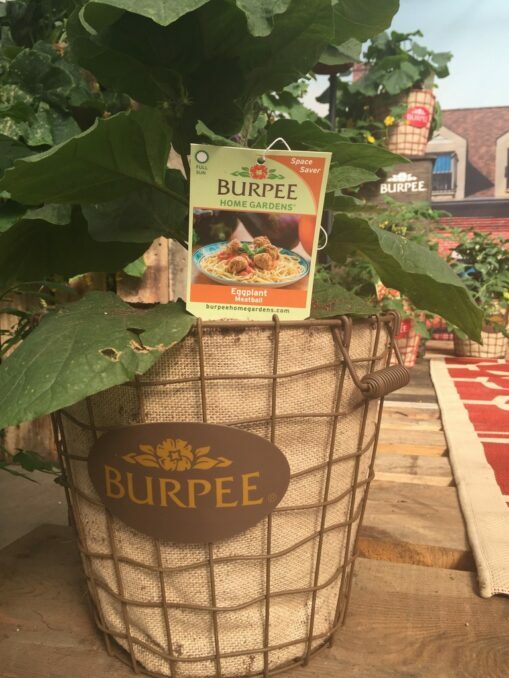 Meatball Eggplant : #CASpringTrials Your first view of the Ball Horticultural Company California Spring Trials event. Do you enjoy the taste of eggplant? There are many new varieties on the market today that will make you fall in love if you are not a fan of the traditional eggplant. I’d love to hear what you think of grilling or baking up eggplant so please comment on my site at BrenHaas.com today.